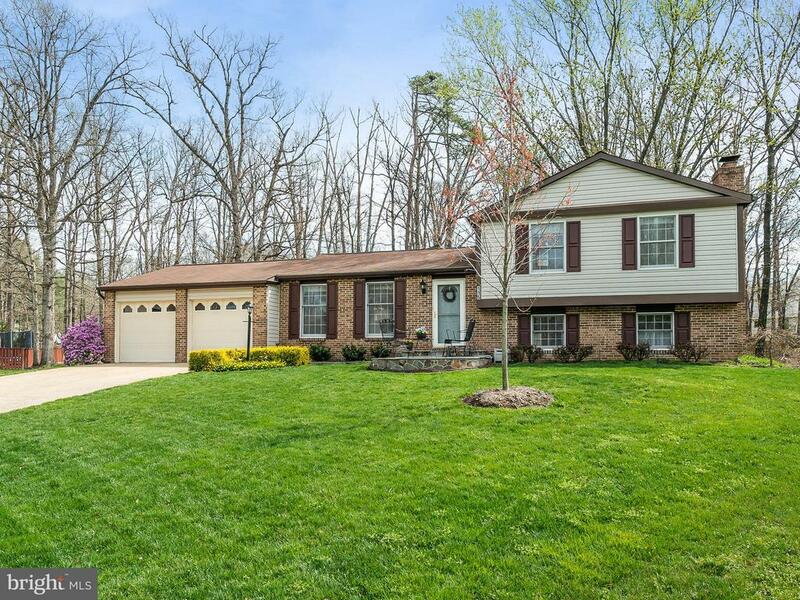 Welcome to the lovely community of Forest Ridge in Sterling, VA. From the moment you pull up to the home, you get the feeling that this is "your home". Wooded homesite on prime, culdesac lot will bring you hours of joy watching the wildlife and enjoying your beautiful gardens. The light and bright interior has a grand entrance which leads to the flowing main level living. Updated kitchen with pendant lighting, skylights, stainless appliances * hardwood flooring on main and bedroom levels * Fall in love with the bathroom renovations and large walk-in closet in the master bedroom * cozy up to the Gas Fireplace in the Great Room, complete with office space, bar area and half bath * the 4th level is set up for a couple of offices, exercise room and storage * Oversized 2 car garage completes this perfect home!